Tri-Mountain 8900 Summit [TM8900Summit] - $41.99 : Sogowear Outfitters!, Polo Shirts, Golf Shirts, Jackets, Fashion Fleece, Woven Shirts and More! The Tri Mountain Summit Jacket features a shell made of waterproof/rainpoof polyurethane-coated heavyweight Toughlan® nylon, and is protected with Anti-Pilling panda fleece. The Hood of the 8900 Summit can be easily concealed in collar. -Lined with super heavyweight 11.5 ounce anti-pilling protection. 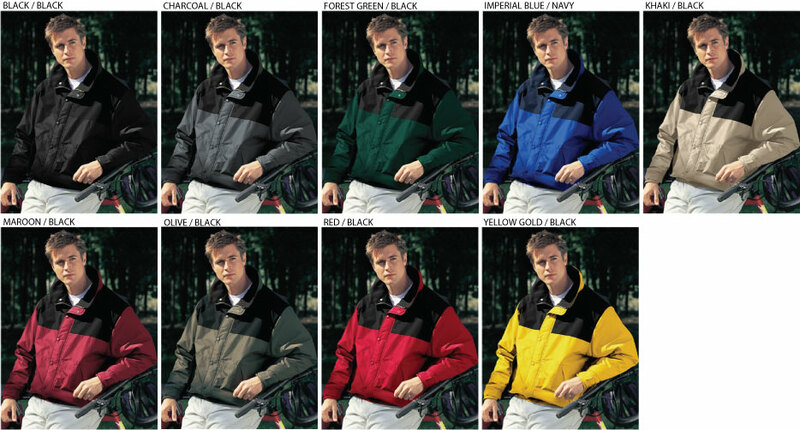 -Features blended colors on front and back panels, full storm and outer placket. -Two front pockets with zippers and one inner right chest pocket with zipper. -Elastic waistband and Velcro cuff closure. S, M, L, XL, 2XL, 3XT (Available in all colors). 4XL, 5XL, 6XL, LT, XLT, 2XLT, 3XLT, 4XLT, 5XLT, 6XLT (Available in marked colors only).